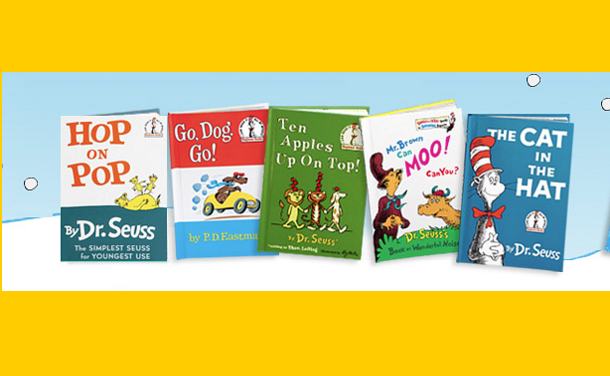 5 Dr. Seuss Books Just $5.95! Ships FREE! You are here: Home / FREEbies / 5 Dr. Seuss Books Just $5.95! Ships FREE! Join the Dr. Seuss™ & His Friends book club today and receive a Welcome Package with 5 storybooks for just $5.95 plus a FREE Dr. Seuss™ & His Friends Activity Book. Shipping is FREE! Join Dr. Seuss & his friends; receive 3 new books each month, control your membership online, cancel anytime, no purchase commitment, convenience of home delivery for less than $6 per book!